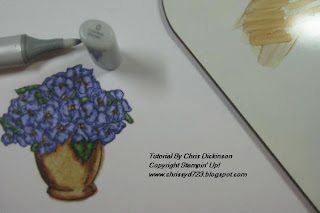 Blending colors is a wonderful way to get the shades you want, if you do not have all of the colors. 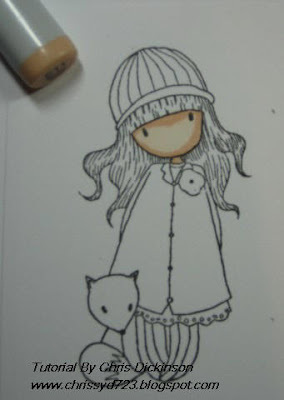 When I first started with Copics, I started with a few basic colors. First of all because I could not afford them all at once, second of all, I was not completely sold on them! 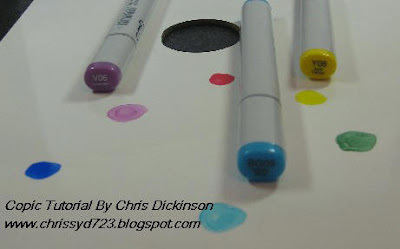 Once I played with them and discovered the awesome blending possibilities, I was quickly sold on these fabulous markers! Ok, for those of you who know about the basics of coloring, please bear with me as I just go all the way to the beginning of Color! J I am going to assume you know nothing, although I am quite confident you DO know these things. 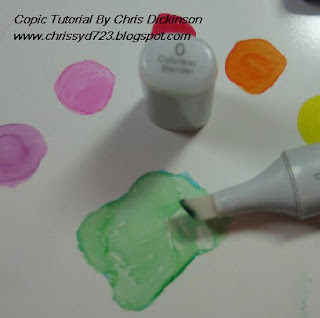 Palette for blending colors – you could use a plastic plate or the clear storage container you have for your Copics. 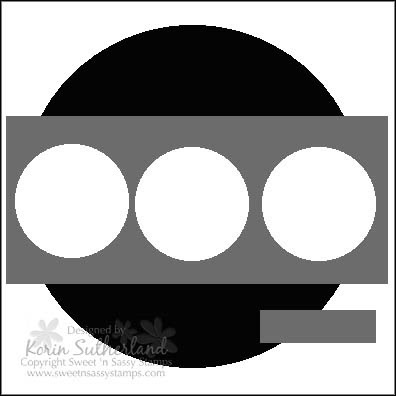 First, we will build a basic Color Pallette, creating our own Color Wheel…. Your three PRIMARY colors will be the root of all of your colors…In elementary school, you may have learned that the primary colors are red, yellow, and blue. However, most of us now use color displays, for which the primary colors will be red, green, and blue. 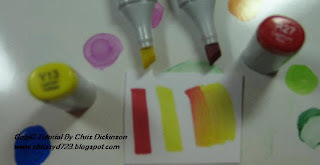 You can blend any of those Primary and Secondary Colors to get varying TERTIARY colors. 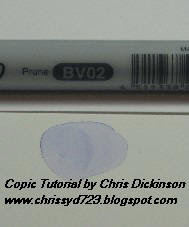 Going one step further, you can add to the GRAY SCALE of the Copic line to get the depth of color you are looking for. 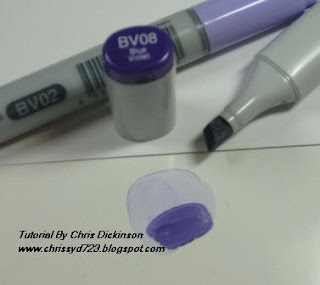 (Remember the second number in the Copic Code tells you the amount of GRAY PIGMENT in your marker.) 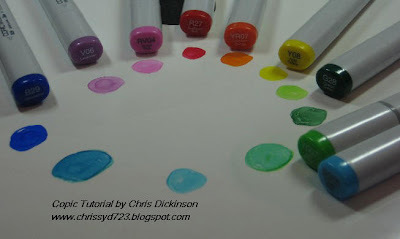 This will help you if you do not have the colors you are looking for in your personal marker selection to get the exact shades you want in your coloring. We will take the BG05 marker and color your palette. 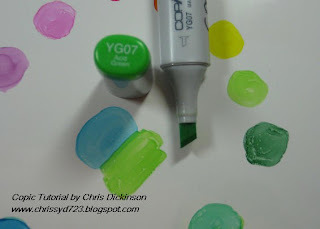 Once you get really comfortable mixing your own colors, you can even eliminate this step and color directly on your cardstock. 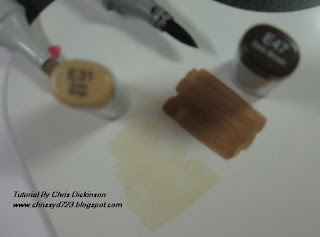 Drawing on top or next to the BG05, use YG07 (or other colors of your choosing) then take the darker pigment, in this case, I used G28… using less of the darker pigment than the lighter colors (remember there is more color pigment and gray in this for a darker color, so you need less) and blend with your Colorless Blender or any of the Copic Markers you are using. I used the Colorless blender so I can then tell when the color I mixed run out. In the final image with the varying colors, you can see the mixed color drawn on the cardstock with the Colorless Blender. I put the covers for your viewing to see the colors I chose to mix. 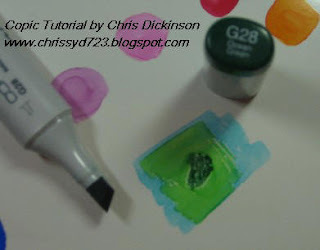 For easier visuals, so you can see the difference in the tips, I chose Y13 and R27. 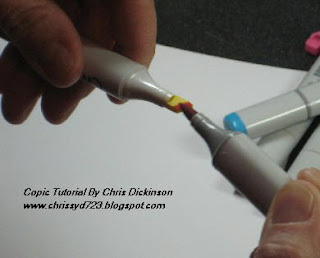 Color directly on the tips – you can use the brush tip or Chisel tip depending on what you want. I used the Chisel tip so you can see where the color is. 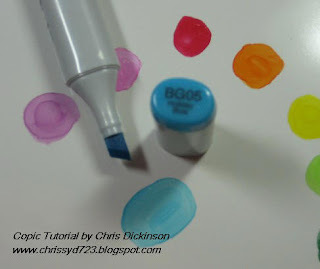 With Tip to Tip Coloring and any blending method, you will need to replenish your Coloring marker with the other color often. 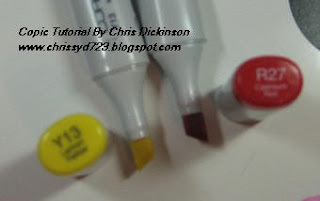 In the photograph, you can see the yellow markers return to their original color once the red color is used up off of the yellow tip. 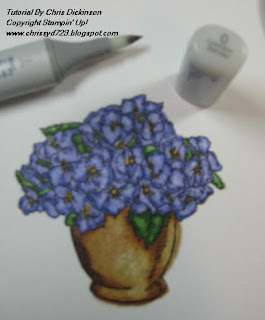 Now that you have the basics, here is a stamped image being colored using the same techniques mentioned above in blending colors. 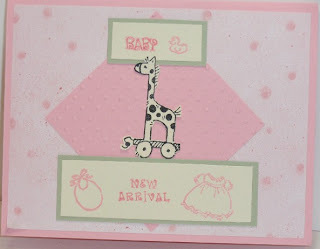 This week, I am using an image from Stampin’ Up! Called Bloomin’ Beautiful. I colored the green areas first with G24 because there are so many flowers in this image, I thought it would be best to color that first so I wouldn’t lose them when I color the flowers. 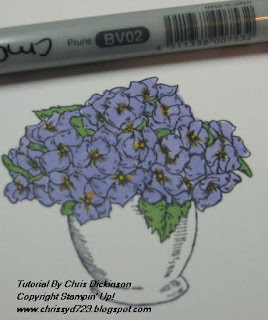 I also colored the center of the flowers with YR23. 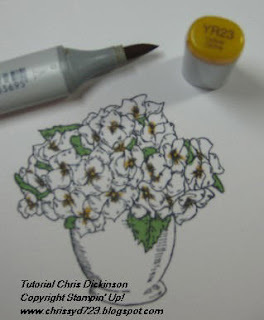 Using BV02 (my lightest color for this image) I colored a base coat on the flowers. On my color Pallette, I colored BV02 to mix a darker color for shading. 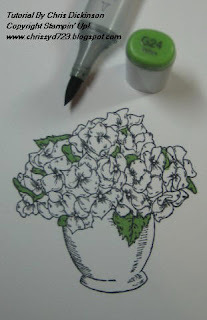 Then I used BV08 which is a touch darker than I need for my shading and blended them together with my Colorless Blender. To shade the leaves, I mixed YG67 and YG99. 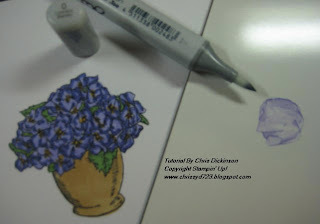 I then went over the flowers with my lightest color BV02 and the leaves with my G24 to blend the colors. Using my Colorless Blender, I removed some of the color to add a bit more depth of light and shadows to the flowers and leaves. Once again I used the Colorless Blender to remove some of the color, adding a bit more contrast in the shading. 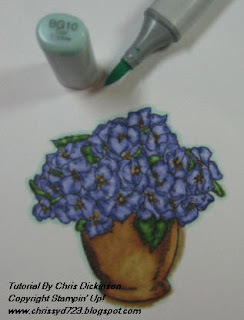 ***TIP*** Do you see on my image how the color bleeds a bit over the stamped image line (the right side of the basin of the flowers)? That is due to over saturating the paper with the Colorless Blender. 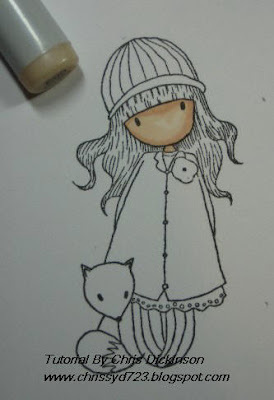 To avoid this, wait a few minutes longer between shading and removing color for the paper and ink to dry. Another way to avoid over saturation is to allow 1/8 of an inch from the image line so when your cardstock gets saturated, the ink will have a bit of room to spread. Many people enjoy putting a halo around their image to make it POP out at you. I know varying people using different colors. I used BG10 on this image. These tutorials take a few hours to do, so I like to know if they are helpful or not! Please let me know if you DO or do not find it helpful! 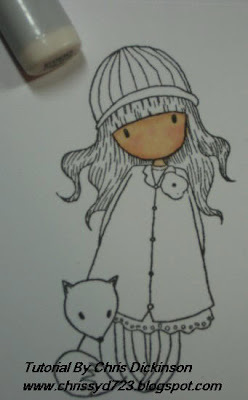 I will have a completed project for you with this stamp later this weekend! I am home now -it seems as if I have been gone for a long time and have a lot of things to catch up on. I could choose to be stressed but today I am focusing on ONE MOMENT at a time and doing the important things FIRST! :) I hope you had a wonderful weekend, the past 5 days were very peaceful and full of laughter. This weeks Monday Design Team Challenge is a sketch challenge. 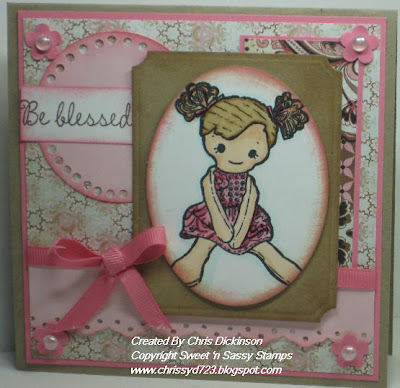 I used the Sweet 'n Sassy stamp set Child Of God. 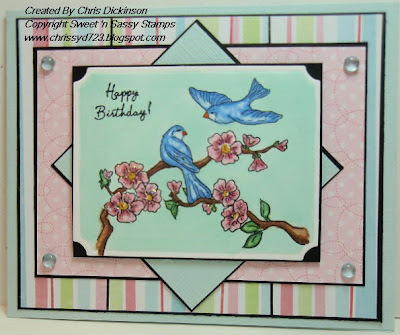 This was my very first stamp set that I designed! Have you participated in the challenges yet? If not, we are looking for more participants! 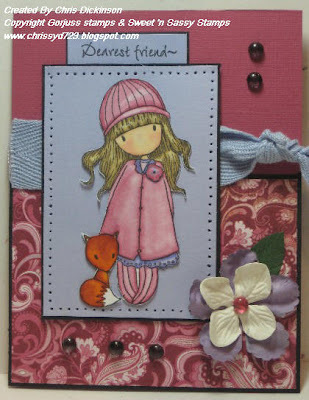 Please head on over to http://www.sweetnsassystamps.blogspot.com/ and check out the challenge and play along! Do not forget about the Monday Mail Call Challenge! 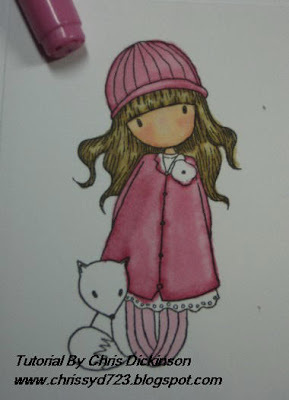 I will be sending out 3 cards this week! Have a blessed day! 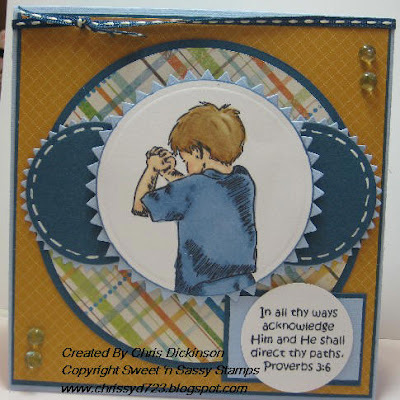 This week's Bloggers Challenge is to use the Texture Plates or Die Cuts. 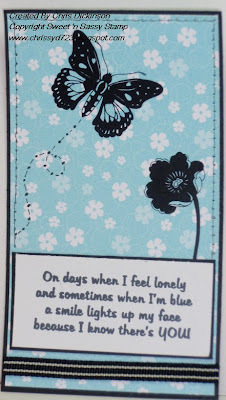 I used the Nestibilities as my "die cuts" and for the sketch I used the Sketch Challenge at Splitcoast Stampers #221. 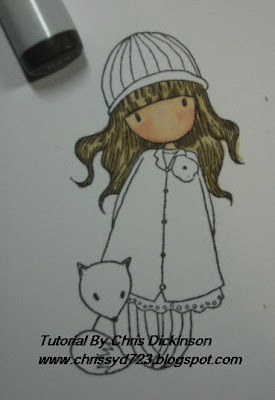 I used my stamp set - His Eye Is On The Sparrow and colored it with my Copics. Since my mom is sitting next to me this weekend, I made her participate in the Sketch Challenge and the Bloggers Challenge too! 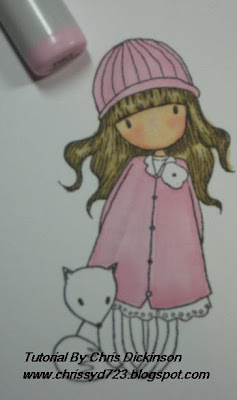 :) Here is her SUPER CUTE card! 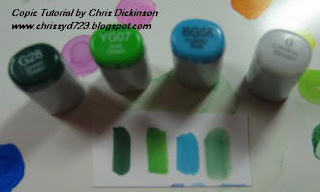 Be sure to check out the other Blogger Challenge participants projects. You will enjoy looking at them and surely be inspired! Each morning, while here I have been reading a devotional to my table. I thought I would share what we read today... This was taken from the Proverbs 31 Ministries -I have these devotionals mailed to my mailbox each day. 27 Mar 2009 Lynn Cowell"
It wouldn't stop burning. Like a sunburn after hours at the beach, the heat on my hands stayed for hours. As a blessing to my family, I had made Aunt Carol's jalapeno peppers. With the sharp knife and chopping block, I transformed eighteen forest-green peppers into little boats of tasty fun. What I hadn't counted on was that ten minutes of exposure to the pepper's oil to my dry, cracked winter skin produced a burning that lasted for hours. Soon after something did change, and it was me. I re-discovered the oil of gladness and oil of joy by personally coming into the Lord's presence daily. Although I had never stopped reading my Bible and praying, I hadn't been taking the extra time and effort to come into His presence. With the help of a prayer journal, I started beginning my time with the Lord each day by exposing myself to Him in praise. In her journal, Intimacy with God; Your Daily Guide to Prayer, Tara Furman suggests several ways to come before Him: repeating His attributes, calling out His names, and singing hymns or worship songs. My favorite is read ing out loud the Psalms. Just yesterday the repairman heard Psalm 103 coming loudly from my lips as he banged away on my wood floor. Dear Lord, as it says in Psalm 100:4, help me to enter into Your gates with thanksgiving and into Your courts with praise. Help me to give thanks to You and praise Your name. You are good and You deserve my heartfelt worship each day. I love you! In Jesus' Name, Amen. Hope you have a great day! 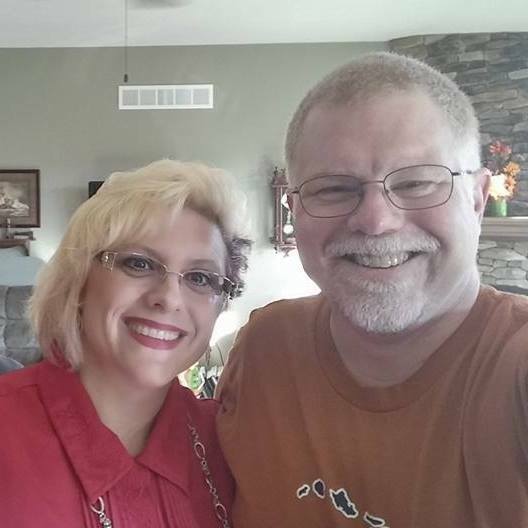 I am still in Iowa until Sunday but will have more posts. 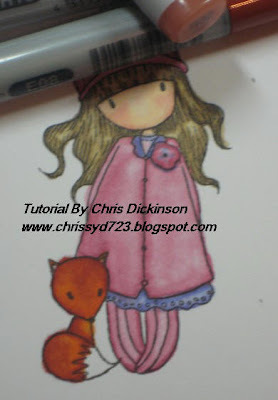 I have promised MORE coloring Tutorials and it is finally here! Then...added R20 to add a tiny bit of rosi-ness to her cheeks. And then went back over to blend with E000. In order to get a good blending, use the lightest color, then shadow, and back over with your lightest color. 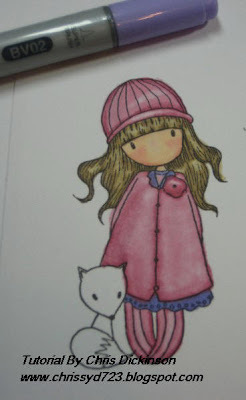 I wanted to go a bit darker and have a limited supply of Copics at this time, so I used the E44 to add shading. Once again where I felt it would naturally be a bit darker. I took the E33 Copic Marker and went back over to blend the colors. Then took R 81 to color her cloak and hat. I added some shadows with R85. Did you know? The Colorless Blender is NOT a Blender at all? 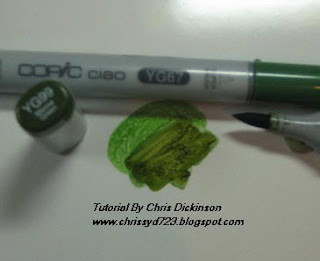 It is more of a highlighter or helps remove a bit of color to give it the special effect of looking lighter. One tip on shading, I always look at which direction I would imagine the light coming from and add the shadows in those areas. I used R85 to add more shading, the R81 to go back over and blend the colors and the Colorless Blender to add a touch of lighter areas to her cap, leggings and coat. I grabbed my BV02 and colored the hem of her garment and neckline of her blouse. 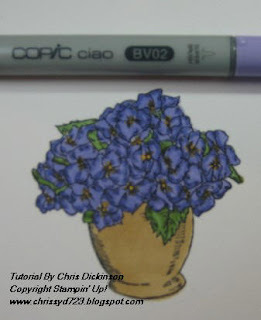 Once again, due to limited colors, I used BV13 - if I had it, I would have used BV04 or BV06 to add some shading. 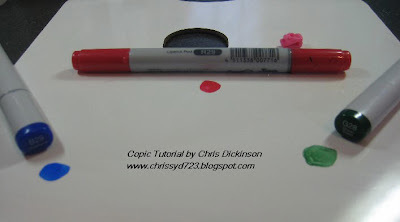 Did you know that with the Copic Markers you can blend your own colors? Next week's tutorial will be ALL about that! 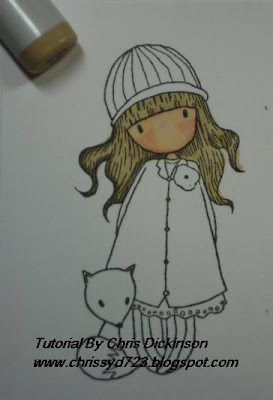 This week I used the markers tip to tip to get the exact shade I wanted for my little fox... I used E08 and R02 due to my limited supplies to get the fox this color. When I was done shading it, I went over it completely with R02. The markers were NOT stained using them tip to tip and went back to the original color once I colored all of the blended colors out. Some people like to add a "Halo" affect around their colored peices, so I used BG10 to mine. Thank you for stopping by! I am away from my home on a Scrapbooking Retreat with my mom. It will be a wonderful time away from my normal routine with LOTS of quiet time with the LORD too. I am really needing that! Please let me know if this tutorial is helpful! Have a blessed day! Have you ever had a week where you just could not even take time to sit? That has been my week. Between my husband being in Mexico for business, running the children to their activities, doing school, doing my once a Month Cooking, running to the Orthodontist AND packing to go away for a few days - this is the first time I am sitting! To tell you the truth, I should still be packing! 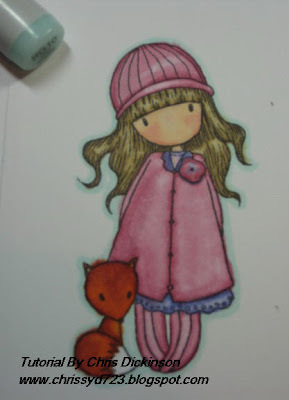 I am leaving today for a Scrapbooking/ Stamping weekend with my mom and Shelly. I am looking forward to it but have been overwhelmed! I did not have time to do this week's Belli Challenge, but I will be creating a project first thing tomorrow and sharing it Thursday. Be sure to go on over to the Belli Blog and check it out!!! I have seen the Book Marks and the Design Team did an AWESOME job!!! 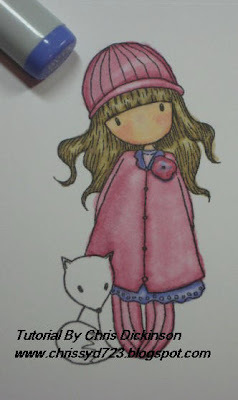 This creation is for the Copics Colour Challenge the colors for this week are R20, E31, RV04 - It includes a Sneak Peak of Sweet 'n Sassy's upcoming release for next week! This set was created for a VERY special cause, so be sure to stay tuned for what that cause is!!! 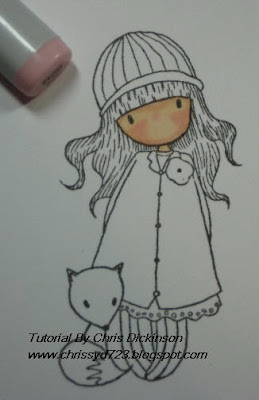 This sketch was from the Truly Scrumptious Sketch Challenges #3. 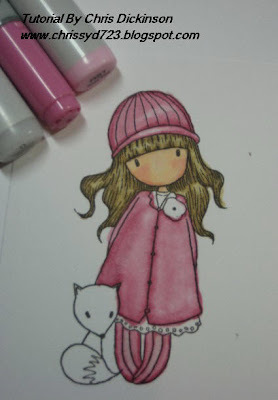 Be sure to check out the Copics Colour Challenge Blog and see everyone's AMAZING designs! I will be posting while I am on my weekend away from home! Have a wonderful week! BLOGGERS CHALLENGE #91 THINK SPRING! ALL ABOUT JOY - BACKGROUND SMOOSH AND A REMINDER!